If you make this a binary image, you can run it through regionprops. There are a variety of metrics in there that should be usefull in identifying equal shapes. Without much more information, I think this will be enough to get you in the right direction. thank you, but i am not allowed to use region prop command. 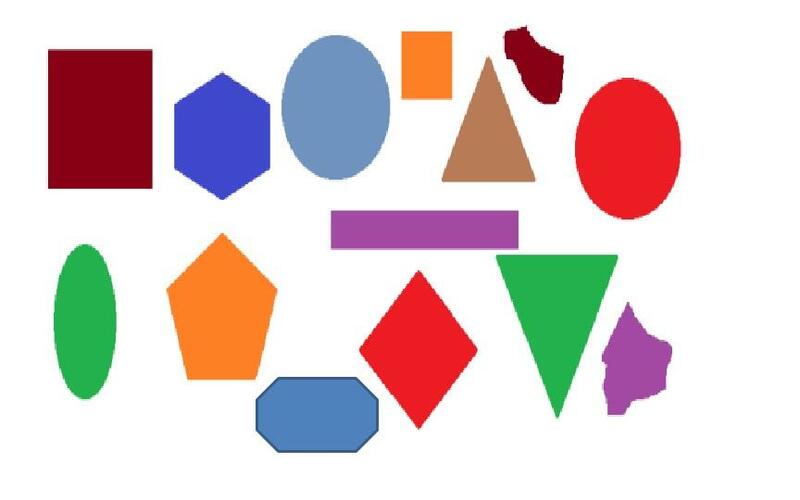 Once you've identified the shapes, which we've talked about in your other question, you can use a for loop to reassign your labeled region to the desired number, like 1 for squares = blue, 2 for circles = red, and so on. Then just create the colormap and pass that plus the labeled image in to ind2rgb() to get an RGB image with shapes having the desired color. Where about would i put that code Image Analyst, note that i have to get a black and white binary output with the shape assigned a number to it which we did yesterday, now i have to group the shapes and assign each group a different color. How should i go about doing it? Please note i have a few hours before i present and do not have matlab on this current pc. here is my code with the classified shapes, take a look @ it please, where would i add the color to codes.